SetBfree is a Digital Signal Processor Tonewheel Organ which is based on Fredrik Kilander's Beatrix organ emulator. It is described in the ReadMe file as: "..a MIDI-controlled, software synthesizer designed to imitate the sound and properties of the electromechanical organs and sound modification devices that brought world-wide fame to the names and products of Laurens Hammond and Don Leslie." SetBfree requires Jack for audio output, and can receive MIDI messages coming from Jack-Midi or Alsa-Sequencer. The version shown at the top of this page is the 3-D version. 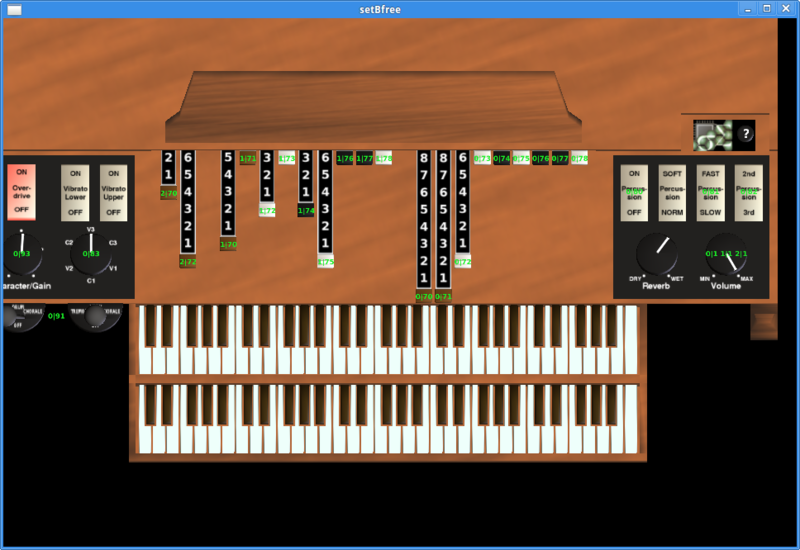 This software organ has a 2-9-9 drawbar layout, and includes two manuals (keyboards). Key-click and percussive modes are also provided. Presets (*.pgm files) can be made, saved and loaded by clicking on the area just left of the question mark at the top right. 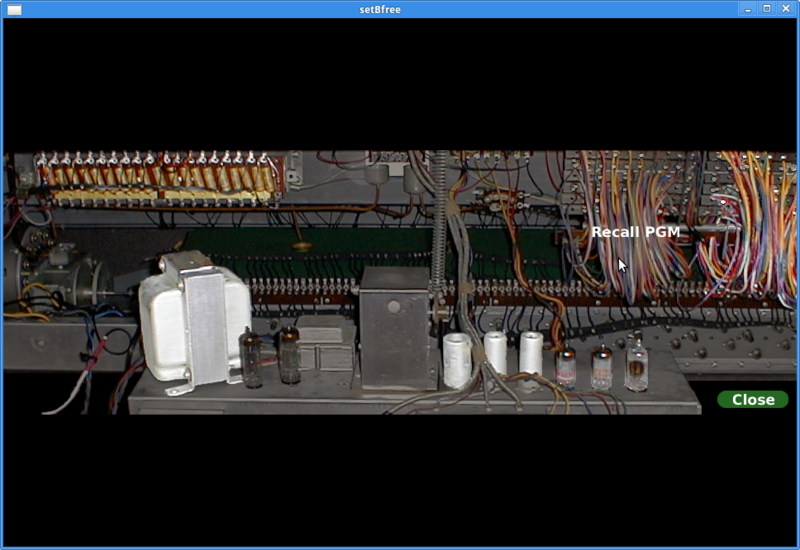 Clicking here will access the "back" of the organ (shown in the third screenshot above), where a mouse-over the righthand area will give a "save .pgm" text. Clicking this will allow to name and save the desired preset. Of the various hotkey options (listed by clicking right on the question mark mentioned earlier), the Shift+V combination will prompt to save the entire bank wherever desired. This hotkey page also gives the key combinations for moving the 3-D organ on the X, Y and Z axes, as well as zooming.